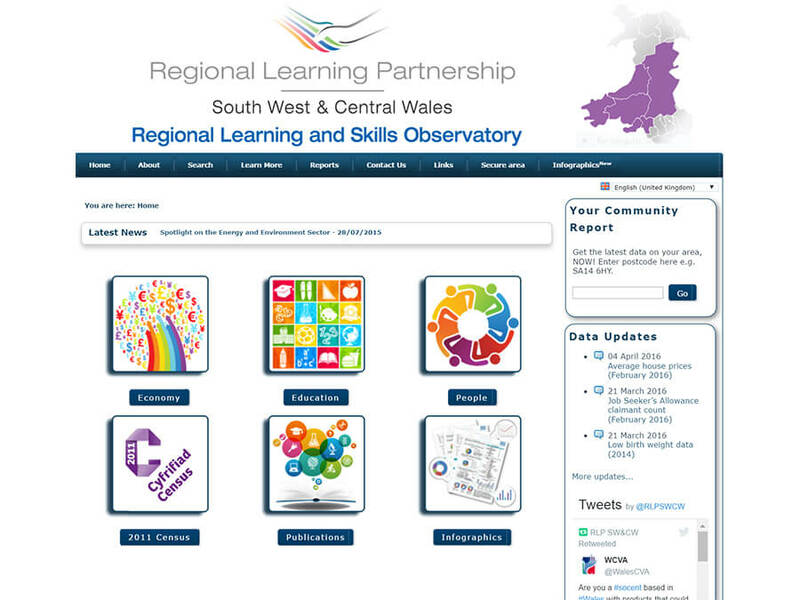 The Regional Learning & Skills Observatory (RLSO) is a central interactive online information system providing local data and intelligence, for learning, skills and the labour market in South West and Central Wales. 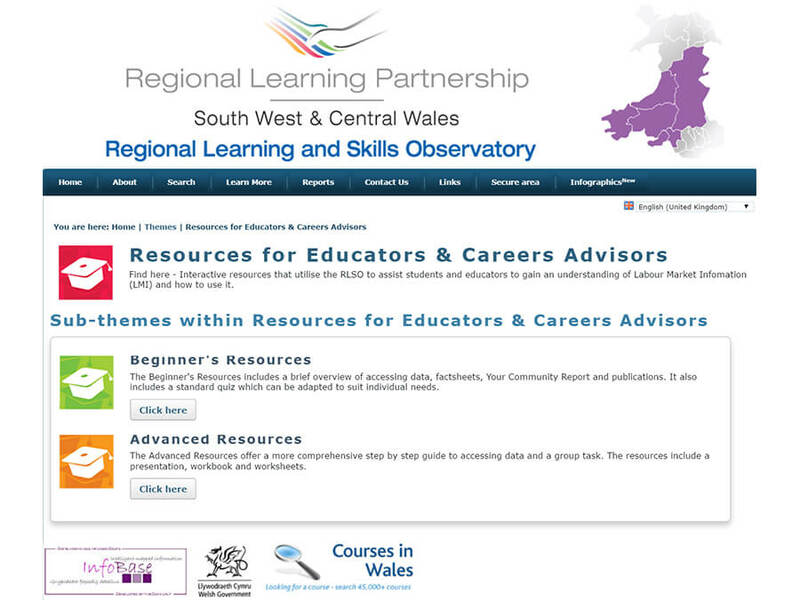 The RLSO provides a range of labour market intelligence to support and inform decision makers within the region. 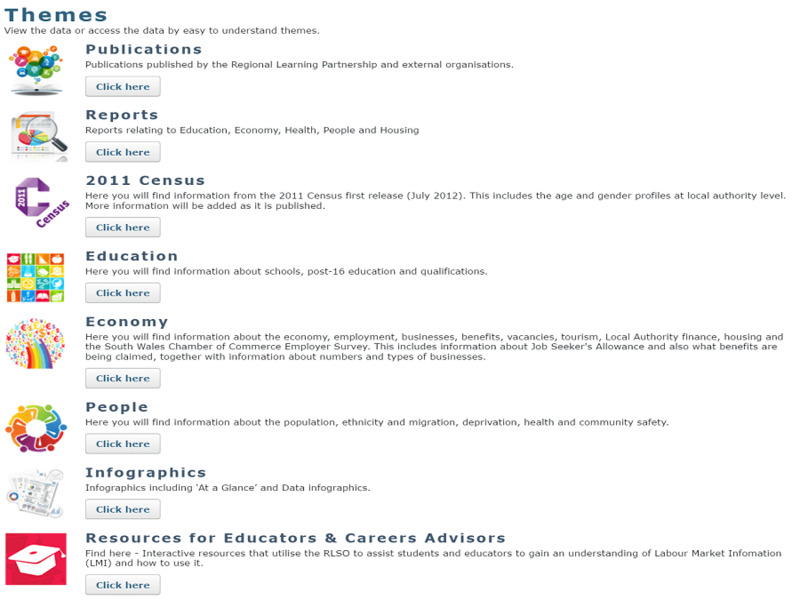 At the heart of the RLSO is an interactive online mapping system which makes data accessible and informative for users. This allows individual users to manipulate a range of different datasets across a range of different geographic boundaries to compare and contrast intelligence.